Home > Uncategorized > Harry Potter, Thank You for All the Years of Magic! For me and a lot of others my age, reading the Harry Potter series produced a lot of emotion and laughter. It also taught an entire generation valuable lessons while stimulating our imaginations. It helped me discover what a true reading adventure was. 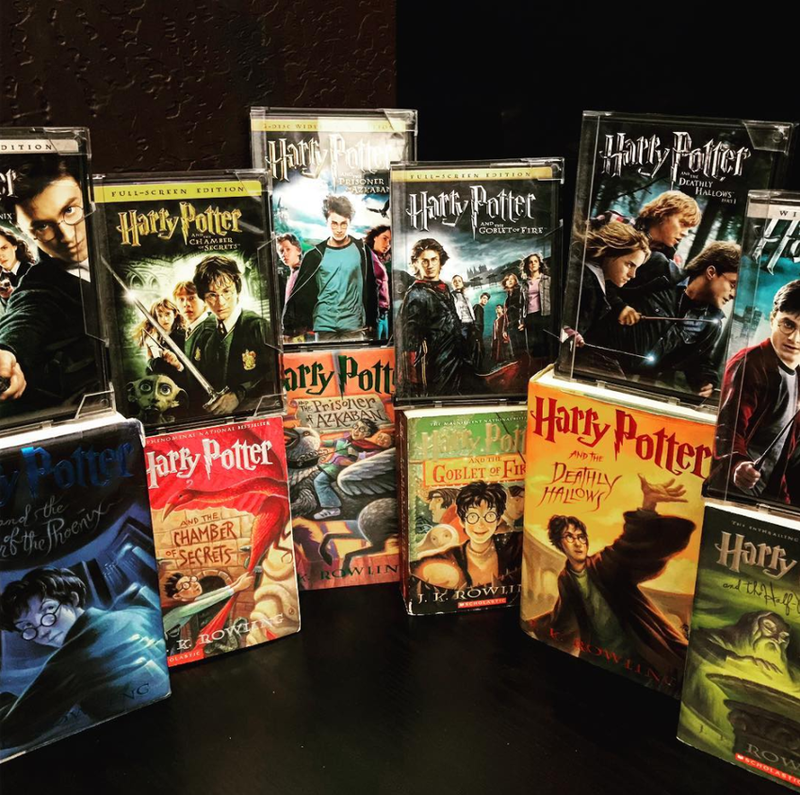 At a time when Harry Potter was monumental to me, I remember the excitement of each book being released and begging my grandfather to wait in line with me and the other Harry Potter fans to snag a copy. Deep down, I know he was a Potter fan too. Aren’t we all? I loved having my Grandfather with me each time a new Harry Potter book reached my hands. I also loved the nights spent reading with me and my cousins, everyone excited to turn the page. One of my favorite HP memories was reading Harry Potter and the Sorcerer’s Stone with my entire class. I remember we had convinced our teacher to let us have a Hogwarts’ feast. The class made and drank butterbeer and played games. That memory will stay with me for a very long time! After we finished each chapter, we would talk about it, and, perhaps more importantly, the meaning behind it. Harry Potter was the first book to show me the magic of reading. It also helped me learn that some of the most important lessons we learn come from literature. As we celebrate Love of Reading Month at Bookmans, I’m celebrating by re-reading Harry Potter, my all time favorite series. Thank you, Harry Potter, for all the years of magic! J.K. Rowling, you’re a true wizard! If you are looking to add a little magic to your life, I recommend heading over to your local Bookmans and scooping up all the Harry Potter books you can hold!